I found this recipe via Damn Delicious a couple years ago, and it’s been a healthy comfort food go-to ever since. 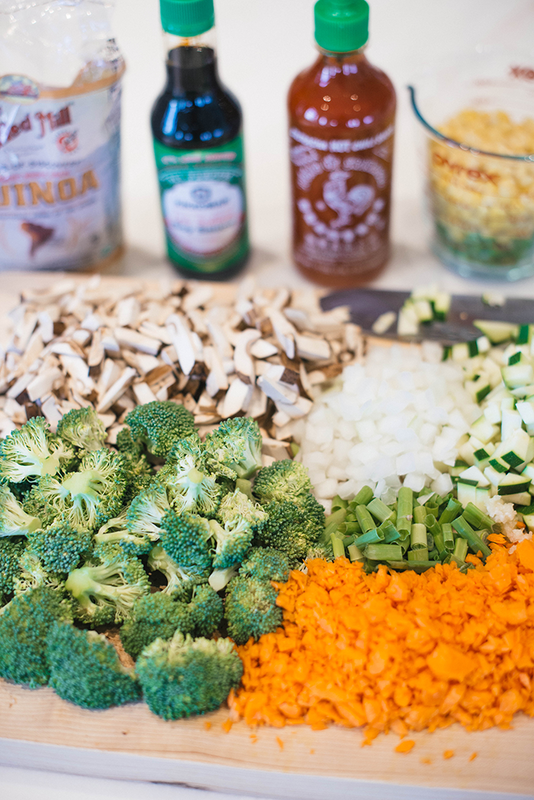 When I’m really craving Chinese food, this is an MSG-free option that has a bunch of protein, vegetables and amazing flavor. The only things I changed from her recipe is removing ginger (I hate it! ), adding a third egg (can’t get enough!) and adding a touch more soy sauce (the saltier the better!). 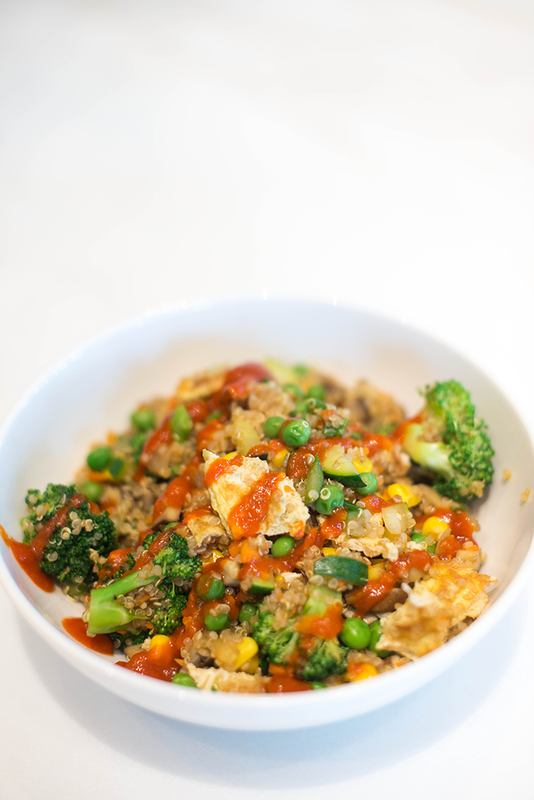 This recipe makes a ton of food, so this is another awesome recipe to make on Sunday for meal prep for the week – it tastes great days out, so it makes delicious leftovers! Heat olive oil in a medium skillet over low-medium heat. 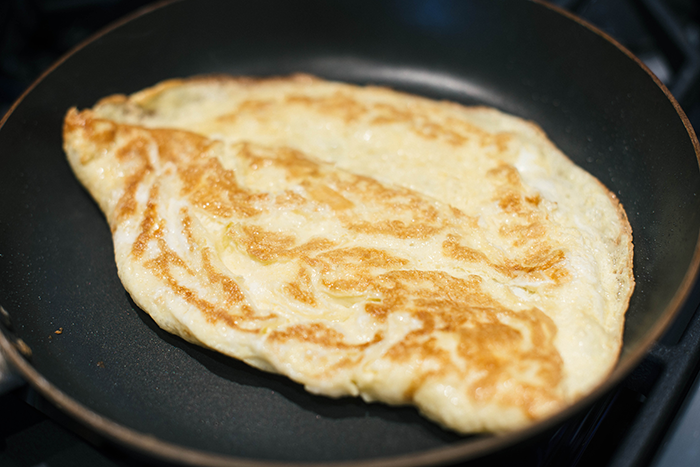 Add eggs and fry 2-3 minutes per side until cooked through. Let cool, then dice into small pieces. Heat one tablespoon of olive oil in a large skillet over medium-high heat. 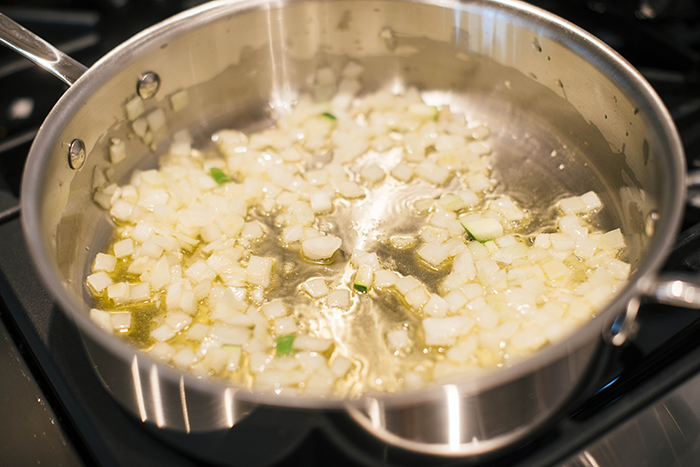 Add garlic and onion and cook until onions have become transparent (4-5 min). 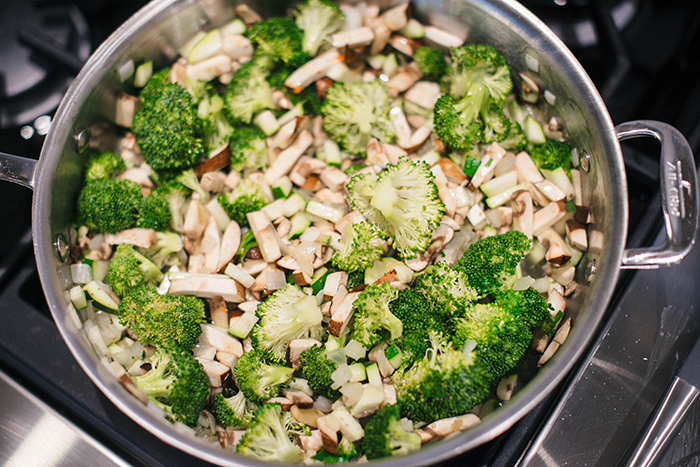 Add mushrooms, broccoli and zucchini. 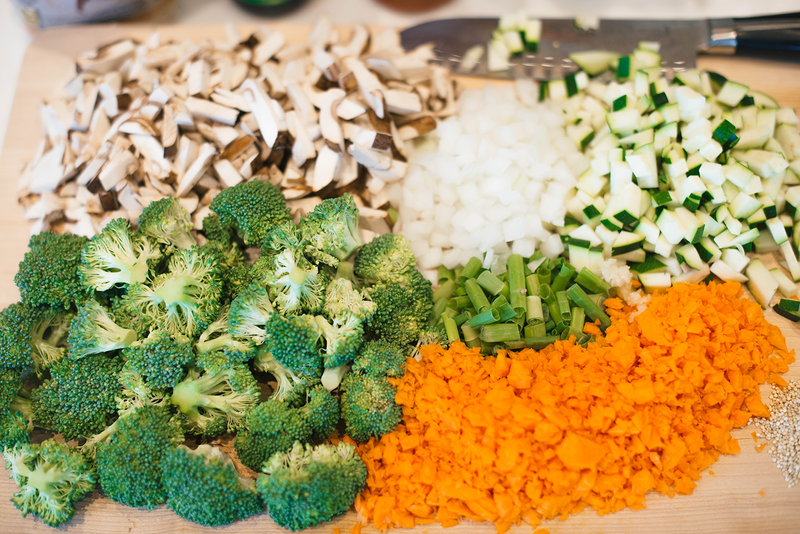 Cook until vegetables are tender, stirring constantly. 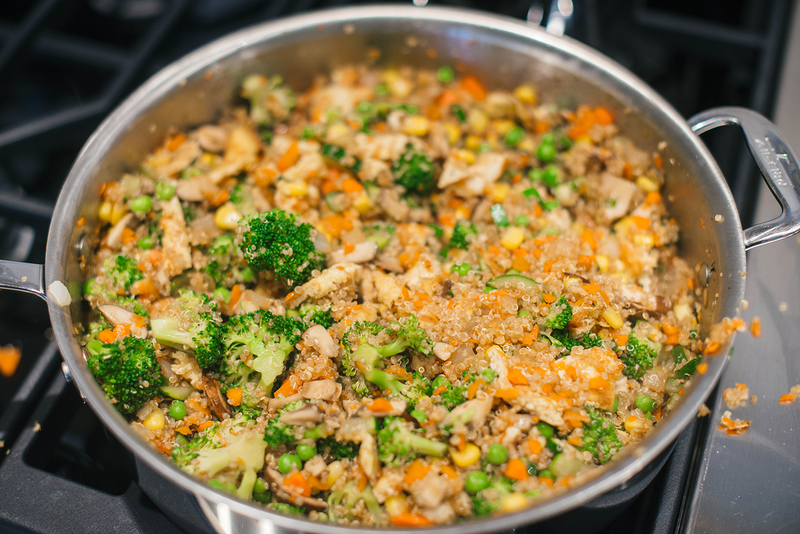 Add corn, peas, carrots and quinoa. Cook and stir consistently until heated through (about 2 minutes). Add soy sauce and stir to combine. 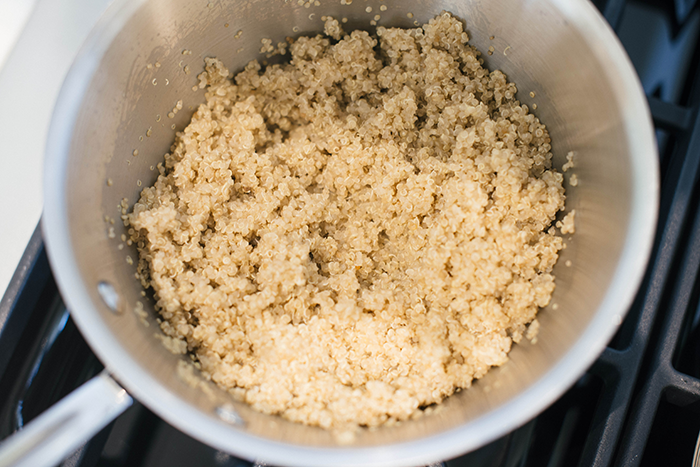 Continue cooking and stirring constantly until heated throughout (about 2 minutes). Stir in green onions and diced eggs. 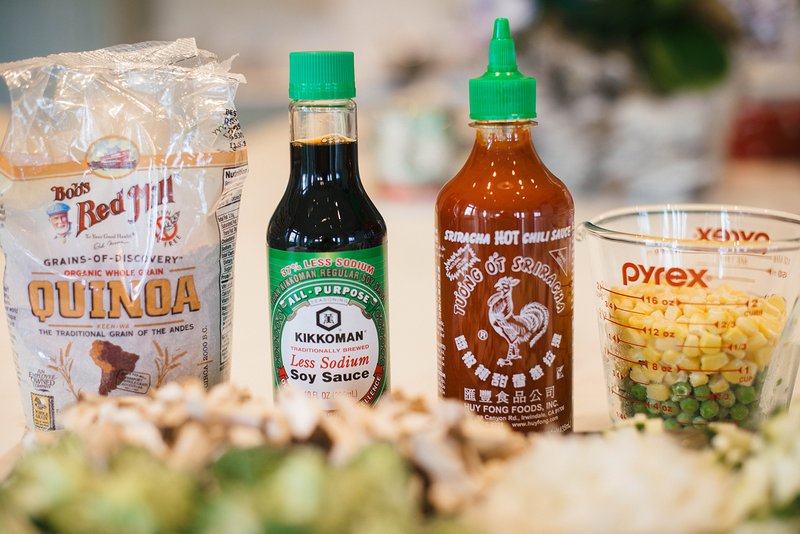 Serve immediately and drizzle with Sriracha for a spicy kick! YUM! 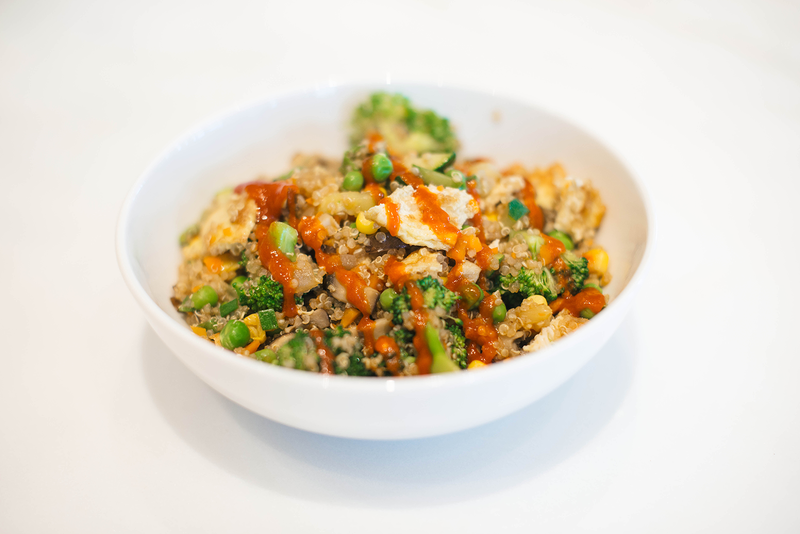 I love quinoa and this looks amazing! Pinning! Colorful, healthy and most likely extremely delicious – I will definitely try it the minute I get back home. Thanks for sharing. Cheers!